Whether you’re here in search of a perfect sea shell, to swim, surf, or fish, our beautiful beaches offer hours of relaxation. 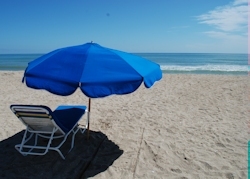 Our beaches on Hutchinson Island offer many access points and miles of serene shoreline. Jensen Beach is our largest public beach offering such amenities as parking, showers, restrooms, picnic areas, sand volleyball courts, a concession stand, and lifeguard service. Altogether there are 17 public beaches on Hutchinson Island from Waveland Beach to Bathtub Reef Beach. Offering free public access to miles of beautiful sandy beaches to enjoy. 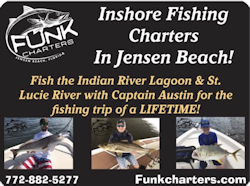 Located under the Frank A. Wacha Bridge, the Jensen Beach Causeway Park is a popular site for many community events as well as a destination for boaters and anglers. 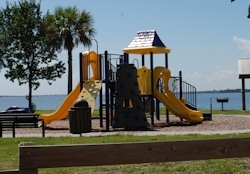 There are picnic pavilions, picnic sites, public boat launch facilities, playground, restrooms, fishing piers, parking, and beaches on the Indian River great for kayaking, windsurfing and Jet Ski enthusiasts. This sports park off Jensen Beach Boulevard has soccer and football fields, youth baseball and restroom facilities. One of our best-kept secrets is Indian River Drive, a picturesque scenic drive that stretches from Jensen Beach to Fort Pierce. 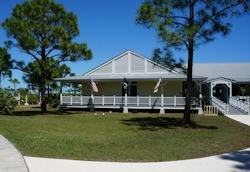 The 35 mph speed limit ensures plenty of time to take in the old-style Florida homes and spectacular views of the Indian River Lagoon (Intracoastal Waterway). Jensen Beach is a favorite nesting place for loggerhead sea turtles, green turtles, and leatherback sea turtles. Every year from late spring til mid summer the turtles return to the beaches where they were born to lay their eggs at night. The eggs begin hatching in late summer. Call 772-334-3444 for turtle walk days and times during June and July. Reservations are required.